The EU has been investigating Google for some time now, in connection with its Google Shopping service. According to the European Commission, Big G has abused its power as the leading search engine, in order to promote Google Shopping over its competitors in the price-comparison market. 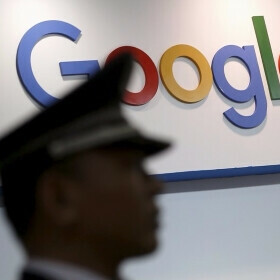 The investigation concluded today, and the Commission has fined Google €2.42 billion ($2.72 billion), after it found Google guilty of breaching EU antitrust rules. The tech giant must end the practice of unfairly promoting its service over others via its search engine within 90 days, or it will face a penalty of up to 5% of the average daily worldwide turnover of its parent, Alphabet. Needless to say, that's a lot of money. “Google has come up with many innovative products and services that have made a difference to our lives,” Commissioner Margrethe Vestager, in charge of competition policy, said. “That's a good thing. But Google's strategy for its comparison shopping service wasn't just about attracting customers by making its product better than those of its rivals. Instead, Google abused its market dominance as a search engine by promoting its own comparison shopping service in its search results, and demoting those of competitors. Google needs to leave Europe and see how these EU beaucuracies will survive the backlash from their citizens. They will be begging to Google to come back. If Google leaves Europe, many countries will triggered article 50 and make EU collapse. This is why I support Brexit in the beginning. Brexit hurts England more than it does Europe. But good riddens to England anyway. Google is not stupid to leave the biggest market, because of this "tiny" (considering the profits it makes in EU) fine. Oh, and we'll soon be seeing how GB is going to handle brexit when EU will retreat it's financial hubs from London. Couldn't happen to a more deserving, anti-competitive company. "Investigating for some time now", it's like the EU were purposefully looking for money from Google. Don't worry, EU is already a one unify country, everyone inside have to use one currency, criminal can freely drive from Hungary to Spain without border check. Just like from Ohio to Arizona. EU is a country and Germany France Italy are not, they're act as an EU's state. Go take a walk with your childish iPhone. Or better, childish and tainted iPhone. It will never be one country and no one in the EU ever wants that. And send Google back to where it is? Where would that be? how in hell can you be labelled unfairly when you are promoting your very own product on your very own website? The promoting took place in the search engine and not on Google's presentation site. It is Google's search engine, not the EU's. And it is not the only search engine out there - there are plenty of other options, and people have choice. It is just as easy to utilize any other search engine as it is to use Google. It just so happens that people, without any coercion whatsoever, like Google's search engine more than any others, and so Google is being punished for that! A "search engine" should do just that: searches. I don't know in what corner of the world you live in, but in EU advertising is done only if the promoter follows some rules - one of them being marking the add as being add - which Google broke. If I'm looking for the most popular smartphone, I don't need Google to show me his Pixel first, I need to see the iPhone (or a Galaxy at least). Not sure how Apple avoids this. Government should jump in for sure. Any company that makes 200 billion liquid profits from sheep like Leo MC must be doing something similar to this or what Microsoft got tagged for during the Netscape fiasco. Apple got to where they are from making great products. Google would be wise to learn from that instead of engaging in anti-competitive practices. Oh please, the only reason Apple hasn't been sued is that they don't have the dominant market share. There are plenty of anti-competitive practices that will be addressed if Apple had a dominant share. Actually, Google has created such a great product - their Google search engine - that it commands about 95% global market share, despite the fact that it is just as easy for people to use Bing, DuckDuckGo, Yahoo, etc. Instead of typingwww.google.com, try www.bing.com, orwww.yahoo.com, etc. People know this. But they mostly go to Google precisely because in their opinion it is far and away the best of the lot, a product so great that "Google" and "googling" have now become verbs meaning searching for information on the internet. Apple have made great products. Google's search engine is an even greater product. Blow me, beautiful (if you're a pretty girl; if you're ugly or a man, lick my sheep shoes). So far, I paid for 3 Apple phones 350 euro (total), out of which 70 euro was VAT, 45 euro were taxes, someone paid the transportation, the storage etc. So, Apple got no more than 200 euro from me in exchange for 3 phones. Wouldn't you say this "sheep" has made a good deal so far? Maybe I'm reading this wrong but sounds like ur walking into a apple store looking for a surface then get mad when they don't have it. And then the store gets fined because they are not advertising or selling Surface products! Greedy EU at it's best.